But before you see all the latest cottages available, let me show you that cottage I mentioned earlier: Spinnaker Cottage. 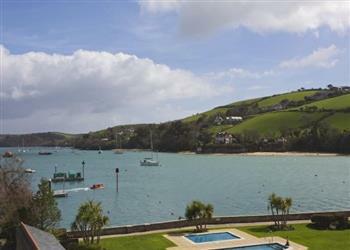 Spinnaker Cottage in Salcombe sleeps 6 people. Close to the centre of town, and close to the slipway - Spinnaker Cottage also has space to store a small boat. This could be the place for those boaty types looking for a holiday in Devon.